A summer vacation well spent. I know this isn't the average email you get from a student, political. However, with one of the most impactful votes to effect [sic] the US economy to take place in just 11 days, June 23, I would like to ask how you felt on the United Kingdom's vote on whether to stay in the EU or leave it. US news has refused to cover this major event due to irresponsibility and foolishness. Just wanted to know your thoughts on this vital subject. Brexit is a hugely complicated issue; however, viewed through the lens of national sovereignty versus the dubious claims of supranational organizations, the ultimate solution is, in my mind, a no-brainer: the people of Great Britain should vote "Leave" this June. To any British readers, please do not presume that an upstart, boorish American is preaching at you about what to do with your national destiny. If the situation were reversed, I'd rightfully scoff at any attempts from "Europeans" to tell my country how to function. However, I ask that all readers approach my arguments for Brexit in a philosophical and rational way; that is, treat them in the context of one mind reasoning from a set a premises, not as an American lecturing foreign nationals about their sovereign politics. I'd also like to acknowledge the influence of a book review I read over the weekend in the 9 May 2016 edition of National Review (Volume LXVIII, No. 8). The review, written by John Fonte and entitled "The EU's Soft Utopia," is of the book The Totalitarian Temptation: Global Governance and the Crisis of Democracy in Europe by Todd Huizinga, a long-time observer of European Union politics. I highly recommend you seek out this review. I intend to read the book soon. Now that those pleasantries are out of the way, I'd like to lay out my case, clumsy though it may be. My remarks are adapted from those I sent to the young man above. The Brexit issue is one of huge importance to the US, the UK, and Europe, and while it has not been covered heavily in the mainstream media, I've read a number of articles about it in both National Review and the Weekly Standard. The question of whether or not to vote "Remain" or "Leave" really depends on your perspective and your goals, or what you think the European Union is supposed to do. The EU itself tries to appear unsure of its goals, but its mission clearly states that it seeks "ever closer union" of the various member nation-states. 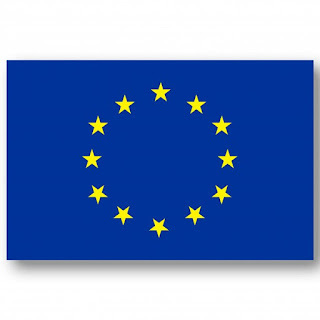 The EU began life as essentially a large economic free trade zone that gradually expanded, and which then adopted a common currency in the late 1990s (a move, we now know, that was fraught with peril, especially as it is very difficult for disparate nations at different points of economic development and national sovereignty to share a single currency effectively; see also Greece). My perception is that the EU wants to become, ultimately, the "United States of Europe"; indeed, this goal is straightforwardly expressed by many pro-Europe observers. The question, then, is this goal desirable or not? The United States of Europe, where six-weeks paid vacation is a basic human right. It certainly has elements that are attractive. In theory, a politically unified Europe becomes a powerful check against Vladimir Putin's Russia. Many of the "far-right" populist parties in European nations (France's National Front, Germany's Alternativ für Deutschland, etc.) are gaining traction now due to the flood of (often violent) Islamic "refugees" into Europe, and many of those groups view Putin's ultra-nationalistic Russia warmly (some, too, are allegedly bankrolled by Russia). Moving toward greater union would help resolve the economic problems the euro faces, as it would allow the EU to change monetary and fiscal policy in its member states, which would no longer look like America under the Articles of Confederation, but would instead look more like America under the Constitution. At least, that's how we're supposed to view it. Unfortunately, that comparison quickly falls apart under scrutiny. The constitutional order our Framers carefully constructed in 1787 functions very differently than the European Union conceived of by its architects. The EU is largely run by an unelected, globalist-progressive bureaucracy that is both unaccountable to the peoples and sovereign member states of Europe, and which has already acted to oust democratically-elected leaders (see also: Italy). Sure, there's the European Parliament, which is currently (and ironically) dominated by members from Euroskeptic parties like UKIP, but it has only limited functions and can essentially only vote to block decisions made by the European Commission, itself made up of unelected commissioners. The EU, then, cares not for democratic input, national sovereignty (and, therefore, borders), or federalism. A United States of Europe would be a heavily centralized unit that might allow some state sovereignty in some limited areas, but would ultimately have vast, unchecked control over its members, with little regard for what the people in those member states want (just look at Germany and Angela Merkel's increasingly unpopular--and arguably dangerous--stance on the refugee crisis). So, while a large, intact European Union would present a unified front against Russia, it would also be a largely undemocratic front against the United States. Some have argued that the EU is necessary to keep NATO viable, but I don't buy this argument. NATO has functioned well, if somewhat inconsistently, with a couple of dozen or so sovereign states for decades. If Britain votes "Leave," how would this dynamic substantially change in the long-run? "A United States of Europe would be a heavily centralized unit that might allow some state sovereignty in some limited areas, but would ultimately have vast, unchecked control over its members, with little regard for what the people in those member states want...."
Ultimately, the Brexit vote is a referendum on national sovereignty. If national sovereignty has any meaning and significance for the people of Britain--and for the world--British voters will resoundingly vote "no" to the EU. Would such an outcome have ripple effects politically and economically? Absolutely. Britain might struggle temporarily because of the (admittedly) huge institutional and economic disruptions, but it would soon rock back to its feet, as it would find itself freed of the EU's overbearing economic regulations and rules. Britain is also well-positioned to leave, as it prudently maintained the British pound, and could very likely continue to accept euros for everyday economic exchanges. The European Union might callously block trade with Britain, but Britain's large financial and consumer markets would quickly erode any such vindictive measures. President Obama has darkly warned that Britain would be at "the back of the queue" for future trade deals, which would be a slap to the face to the Churchillian, Anglo-American "special relationship." Our next president would, if he or she is wise, quickly embrace a "most-favored nation" treaty with Britain to keep trade open and affordable between our nations. Putin might take advantage of the situation temporarily, but Europe and Britain would likely come together rapidly in the face of any Russian aggression. Putin is wily and will take any advantage he can, which is all the more reason for the Obama administration to put aside its pro-EU stance and to support an independent Britain should the British people vote "Leave." Just because Putin might benefit doesn't mean that Brexit is ultimately a bad idea. A "Leave" vote would, in a paradoxical way, be healthy for the EU, as it would likely lead to the exit of nations that have no business being under the euro, such as Greece and Spain. It would also inspire and embolden other nations to push for greater transparency, accountability, and democratization from the European Union's leaders and institutions. Most importantly, though, it would strike a blow against the totalizing, globalist elitism of the EU bureaucracy. Brussels might see itself as enlightened, progressive, cosmopolitan--and, as a result, more humane--but it's still authoritarian and anti-democratic-republican in the way it functions and pursues its vision. Therefore, while I recognize the potential geopolitical and economic risks, I sincerely pray that the good people of the United Kingdom will strike a blow for republican self-government, national sovereignty, and liberty, and vote "Leave" this June. The time for Brexit is now. Like ripping off an old bandage, the initial pain will sting, but only briefly. The old wound will heal, and a new, freer nation will enjoy the fruits of its sovereignty.